New ZIP68 range Made of TPU 420D and fitted with a 100% watertight/airtight zip, the Infladry 25 bag will become the new standard waterproof bag for all water and outdoor activities. 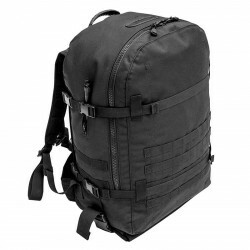 The bag has a 100% waterproof front pocket and a removable interior compartment for a laptop. 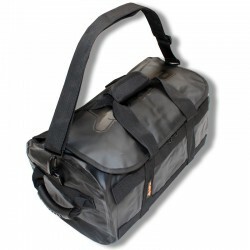 New ZIP68 range The Infladry 5 bag is a versatile 100% waterproof bag thanks to its TPU 420D construction and its truly watertight and airtight zip. Width: 27 cm Height: 18 cm Thickness: 10 cm Volume: 6 liters The bag comes with a belt and a shoulder strap. 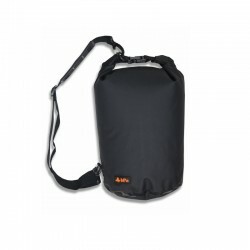 Tube bag with shoulder strap to carry it as a backpack. 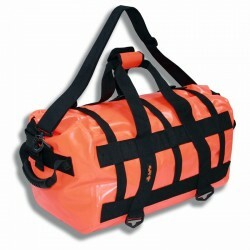 A classic from boating, assembly 100% waterproof by high frequency welding (no seam). Made of PVC tarpaulin of the highest quality. The products in the SWELL range are designed to protect their contents from the most extreme outdoor conditions. 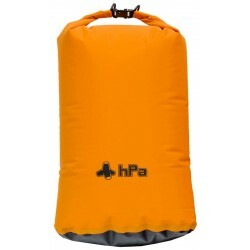 DRY BACKPACK 25 is the new backpack 100% waterproof HPA. Used both for leisure activities (kayaking, SUP, canyoning, scuba diving, spearfishing, ...) and for professional uses (rescue, offshore, PPE, etc. ), it was specifically designed and reinforced to resist the worst conditions. 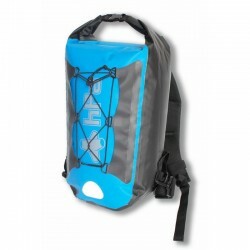 DRY BACKPACK 40 HD (Heavy Duty) is the new backpack 100% waterproof HPA. Used both for leisure activities (kayaking, SUP, canyoning, scuba diving, spearfishing, ...) and for professional uses (rescue, offshore, PPE, etc. ), it was specifically designed and reinforced to resist the worst conditions. HPA innovated by creating the first back 100% waterproof bag with 3D printing camouflage.DRY BACKPACK 40 SILENT HUNTER is for all practitioners of outdoor activities "wet" where discretion is paramount: hunting (waterfowl or to heavy rain), fishing, wildlife photography. 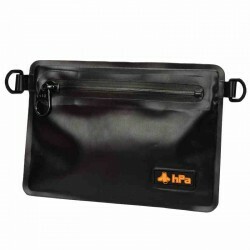 The new small waterproof bag from HPA Made entirely of waterproof PVC fabric, assembled by high frequency welding, and fitted with a waterproof zip. Its size makes it compatible with all our bags. 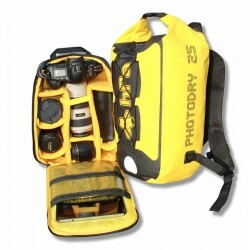 A 100% waterproof photo backpack The PHOTODRY 25 is the combination of: a PADPACK PRO photo insert designed specifically for storage in a backpack. 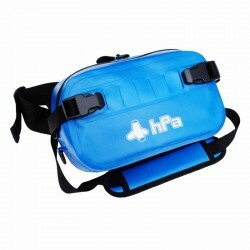 a hPa DryBackPack 25 You benefit from the best both for the waterproof part and for the storage part of your equipment. 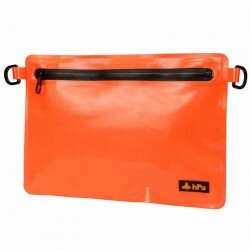 Waterproof Bag with folding / rolling closure, seamless assembled by HF welding.SWELL range of products are intended to protect the contents of the most extreme outdoor conditions. 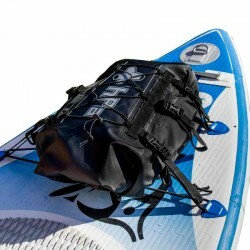 A full range of bags "tubes" 100% watertight closure with folding rolling, seamless assembled by HF welding.SWELL range of products are intended to protect the contents of the most extreme outdoor conditions. 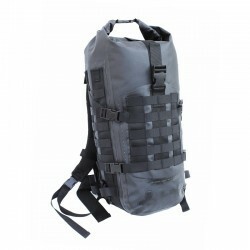 ZIP68 Range Available early October Multi function waterproof pocket equipped with MOLLE bindings. Infladry 2 will be suitable for standalone use as well as for MOLLE equipment such as Molledry or other. 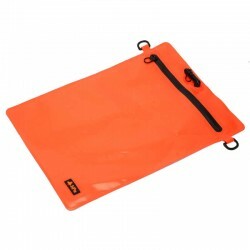 Length: 22 cm Width: 15 cm Thickness: 5 cm Made of TPU 420D and equipped with a airtight/watertight Zip, Infladry 2 reaches an IP68 waterproofness level. 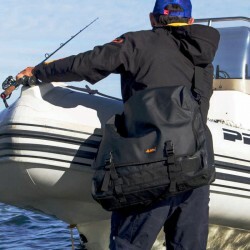 The DRY RIB BAG is a large waterproof bag that can be worn over the shoulder and can be attached inside a boat thanks to the straps with clips and rings located on the back side. 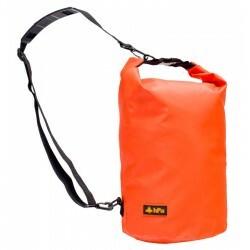 Its capacity of 25 liters makes it ideal as a small hand luggage for the day trip by boat or as a gym bag or urban use in the pool. 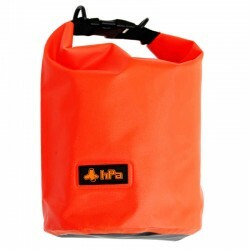 hPa offers a complete range of luggage and waterproof backpacks for all aquatic and outdoor activities requiring perfect protection of your equipment. 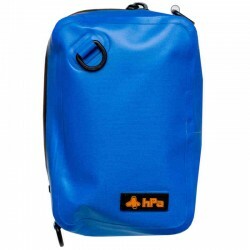 Backpacks, tube bags, for fishing, sailing, kayaking, biking: the HPA range covers all needs where sealing matters. 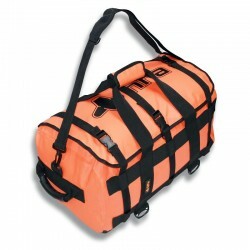 The waterproof bag is part of the basic equipment for any trip out to sea or even on the beach. It will protect your business from the aggression of water, dust or sand. 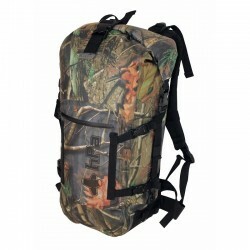 For any excursion or hike, a waterproof bag will keep your gear away from rain and moisture. You will then have the choice between 2 solutions: take a completely waterproof bag, but that can sometimes seem a bit heavy for several days of steps, or use light bags such as stuff sack to fit in a normal bag and turn it waterproof . Depending on the type of bag, the closure mode differs. 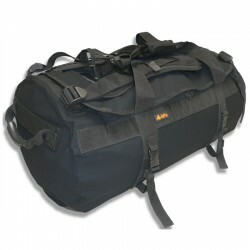 There are "rolled" type closures also named "Roll Top", widespread on tube bags, and "zip" type closures, more suitable for a duffel bag. The "pinched" closures (bars that press the walls of the bag to seal) are reserved for waterproof pouches. 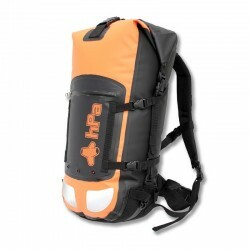 hPa now offers backpacks with waterproof zips. These bags are resistant to prolonged immersion. 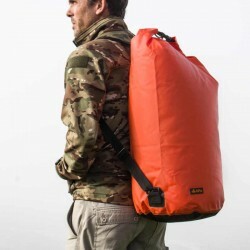 The different criteria for choosing a waterproof bag are its shape (duffel, backpack, pouch ...), its volume, its material and its type of closure that will ensure its level of tightness. 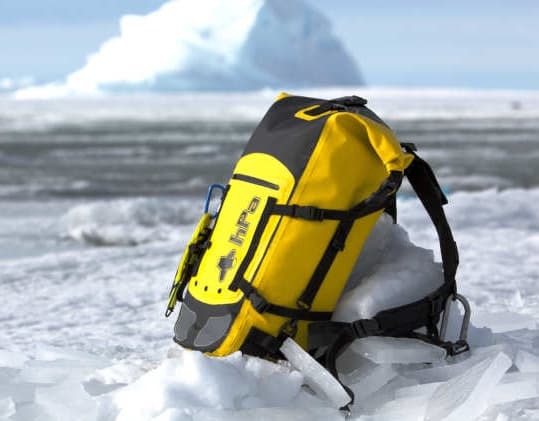 The choice of a waterproof bag must take into account several criteria that will depend on the use and level of tightness sought. 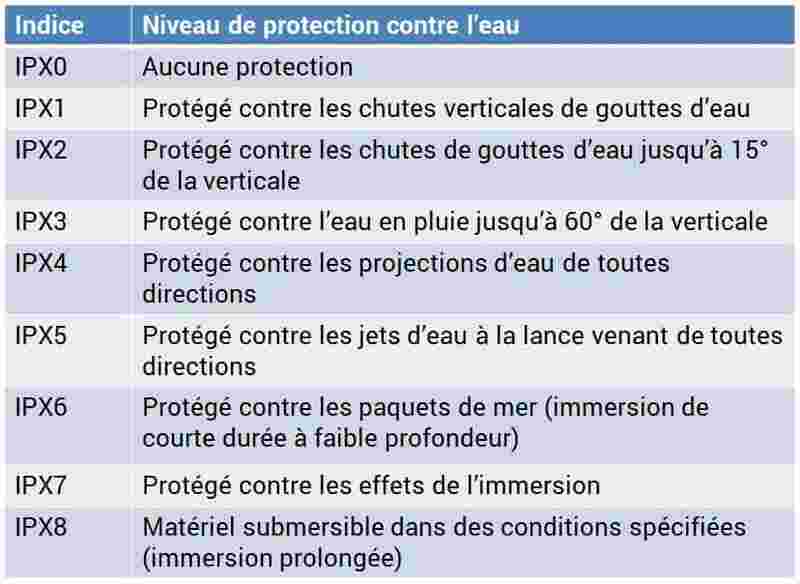 We will go through the main uses of a waterproof bag here and associate the recommended level of IP protection. Of course, an IP index higher than the recommended index will also be perfect for use.